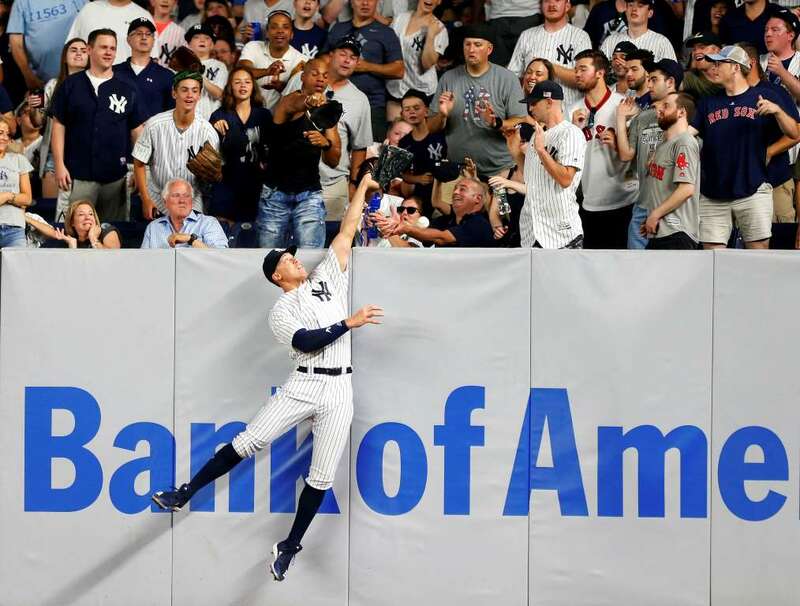 The Yankees' Aaron Judge misses a ball hit by the Red Sox's Rafael Devers (not in picture) on Saturday in Bronx, New York. The Red Sox won 11-0. 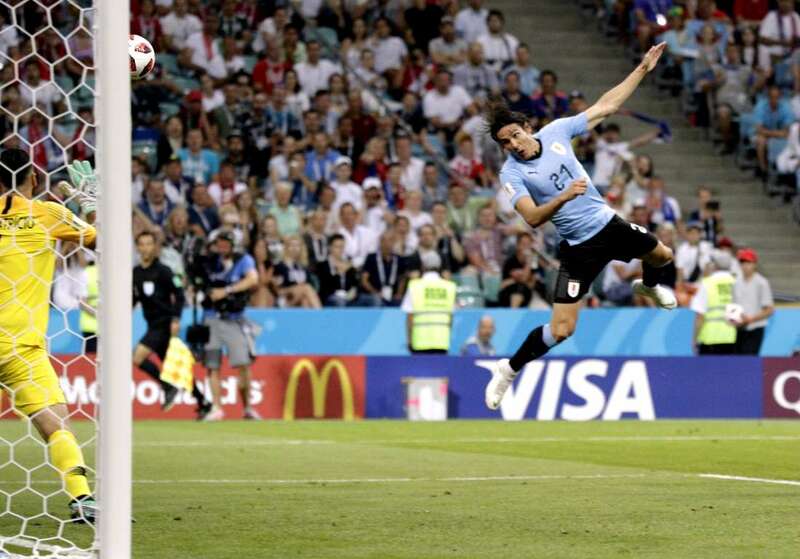 Uruguay's Edinson Cavani scores his side's opening goal during the World Cup against Portugal on Saturday in Sochi, Russia. Uruguay won 2-1. Mercedes' British driver Lewis Hamilton arrives on a motorbike for a practice session ahead of the Austrian Formula One Grand Prix on Saturday in Spielberg, Austria. Argentina's Lionel Messi walks on the pitch after the Round of 16 match against France on Saturday in Kazan, Russia. 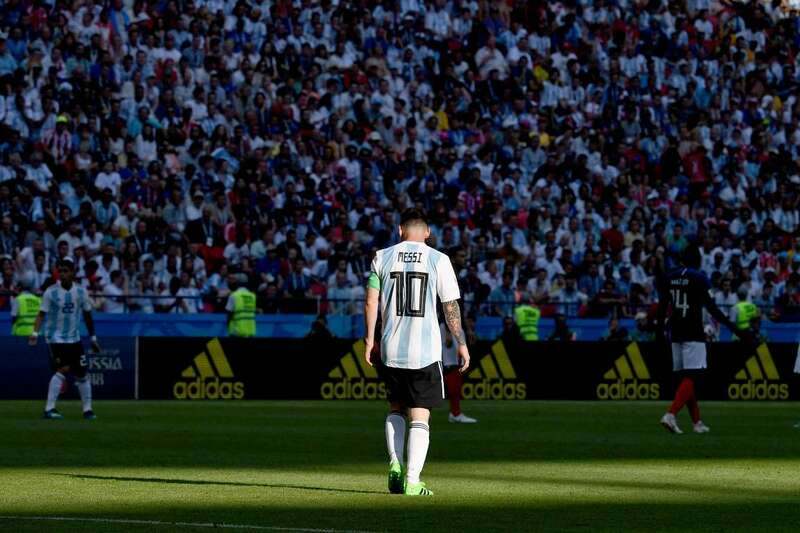 Argentina was eliminated from the World Cup after losing to France 4-3. 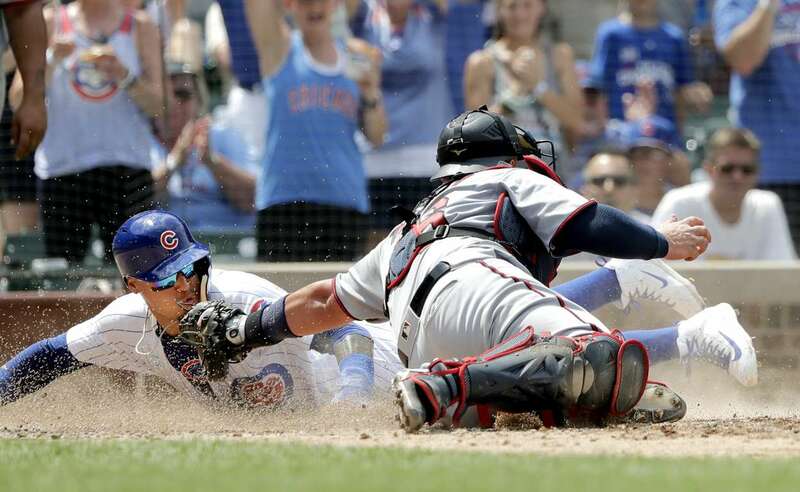 The Cubs' Javier Baez, left, scores past the tag of the Twins catcher, Bobby Wilson, off a two-run single by Ben Zobrist, on Saturday in Chicago, IL. The Cubs won 14-9. 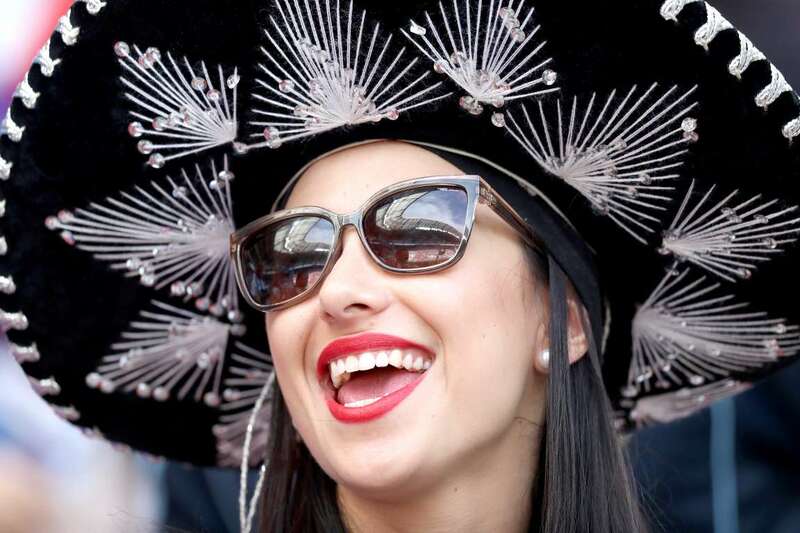 A supporter ahead of the World Cup Round of 16 match between France and Argentina on Saturday in Kazan, Russia. Denmark's Caroline Wozniacki holds the winner's trophy after her match against Belarus's Aryna Sabalenka at the ATP Nature Valley International tournament on Saturday in Eastbourne, England. Wozniacki beat Sabalenka 7-5, 7-6 (5). 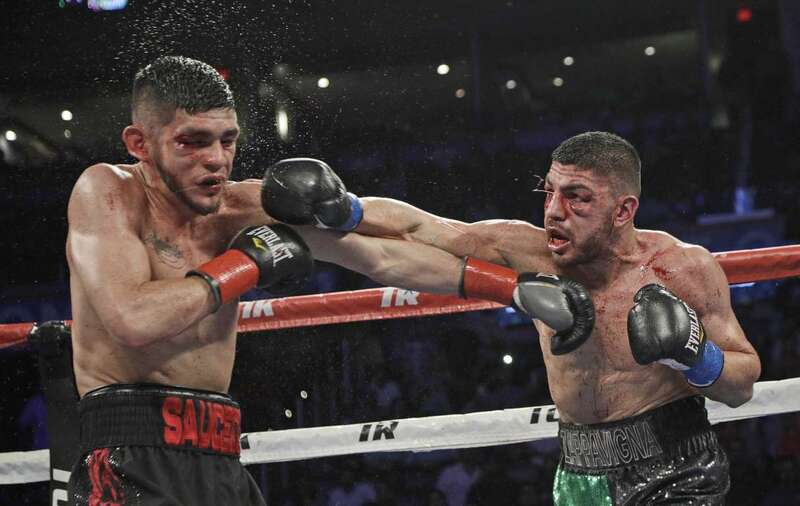 Junior welterweight Alex Saucedo, left, lands a left on Leonardo Zappavigna on Saturday in Oklahoma City, Oklahoma. Saucedo won when the fight was stopped in the seventh round. 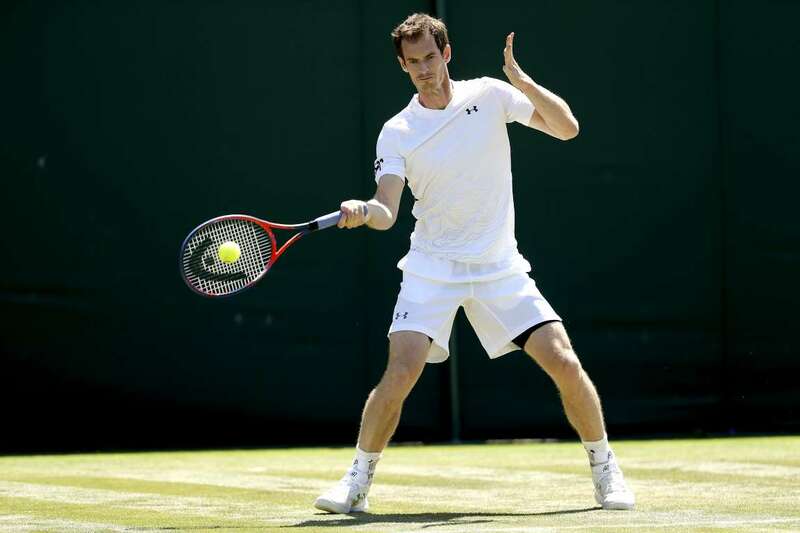 Andy Murray of Great Britain practices for the Wimbledon Championships on Saturday, in London. Kyle Baun (12) of Canada takes a shot at goal during the Ice Hockey Classic against the United States on Saturday in Sydney, Australia. 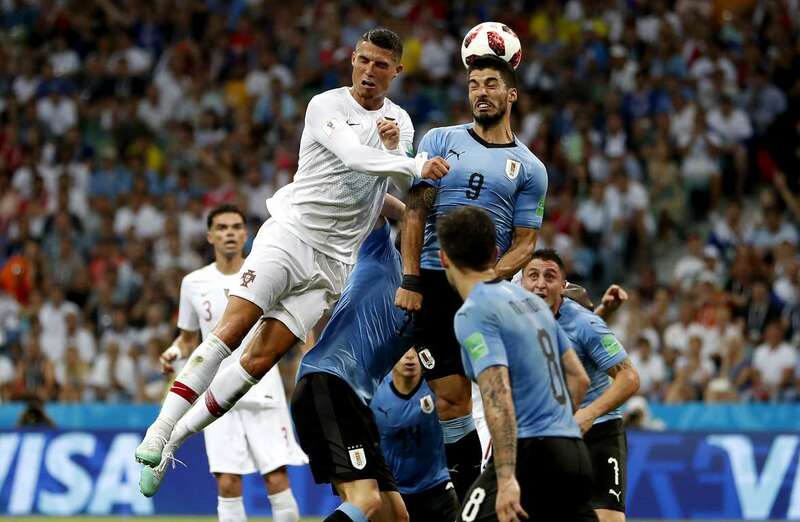 Portugal's Cristiano Ronaldo, left, and Uruguay's, Luis Suarez, challenge for the ball, during the World Cup on Saturday, in Sochi, Russia. Uruguay won 2-1. 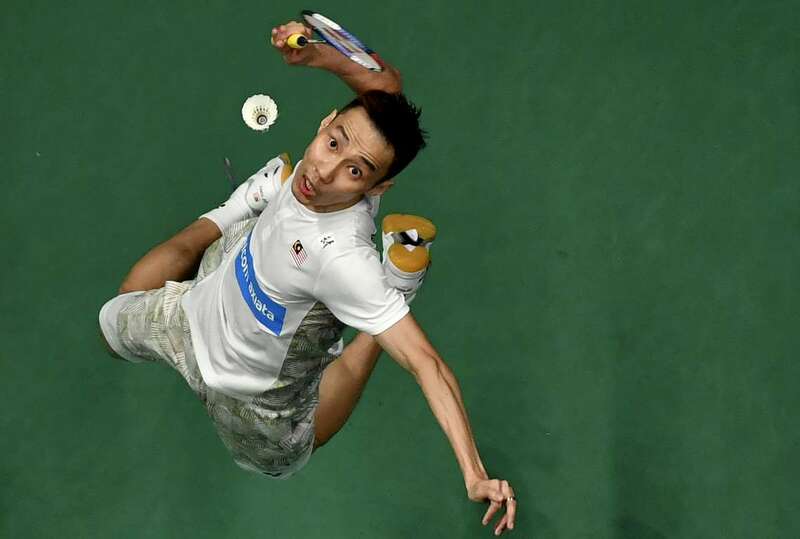 Lee Chong Wei of Malaysia smashes against Tommy Sugiarto of Indonesia during Malaysia Open Badminton tournament on Saturday in Kuala Lumpur. 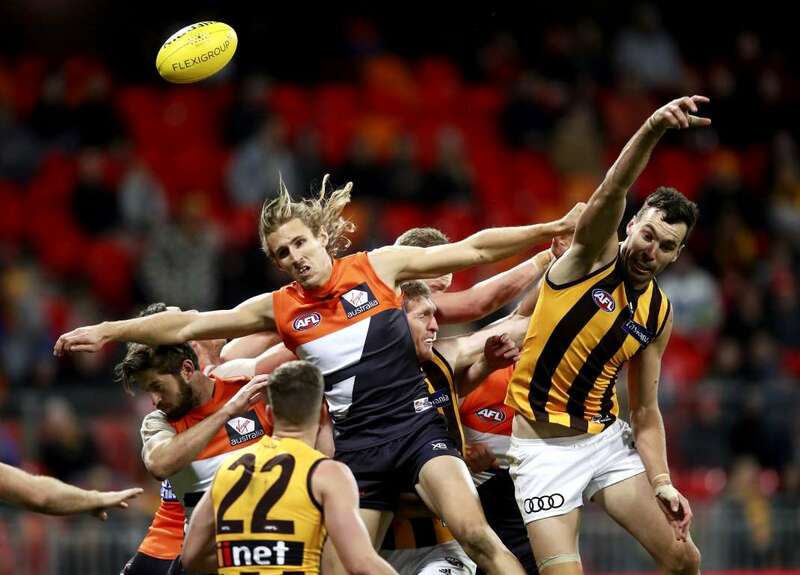 Nick Haynes of the Giants, competes for the ball against Jonathon Ceglar of the Hawks, during the AFL match on Saturday, in Sydney, Australia. Sung Hyun Park of Korea, hits from a green side sand trap to the third green, during KPMG PGA Championship, on Saturday in Kildeer, IL. 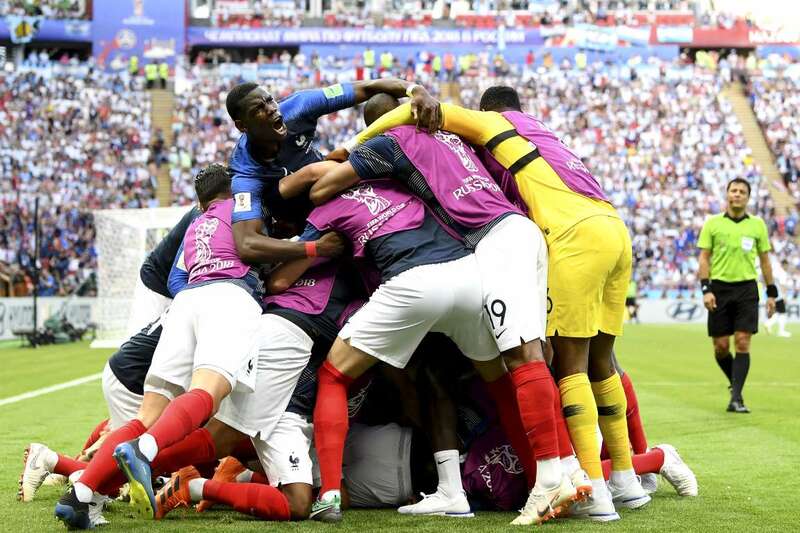 Kylian Mbappe of France celebrates with teammates after scoring his team's third goal during the World Cup against Argentina on Saturday in Kazan, Russia. France won 4-3. 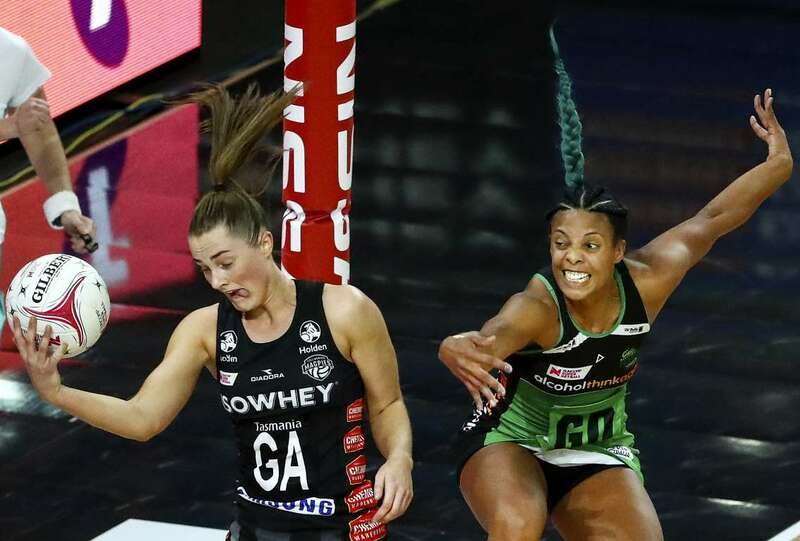 Alice Teague-Neeld of the Magpies and Stacey Francis of the Fever, compete for the ball during the Super Netball match, on Saturday in Melbourne, Australia. 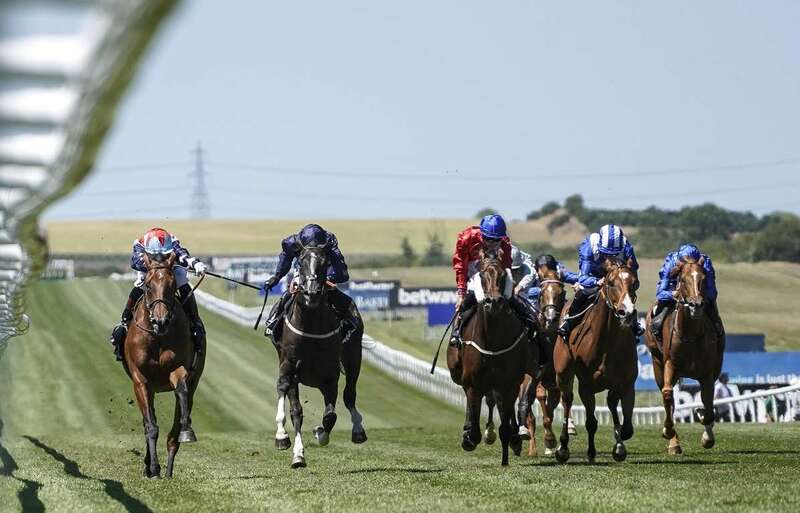 Gerald Mosse riding Sir Dancelot, left, wins The Betway Criterion Stakes on Saturday, in Newmarket, UK. 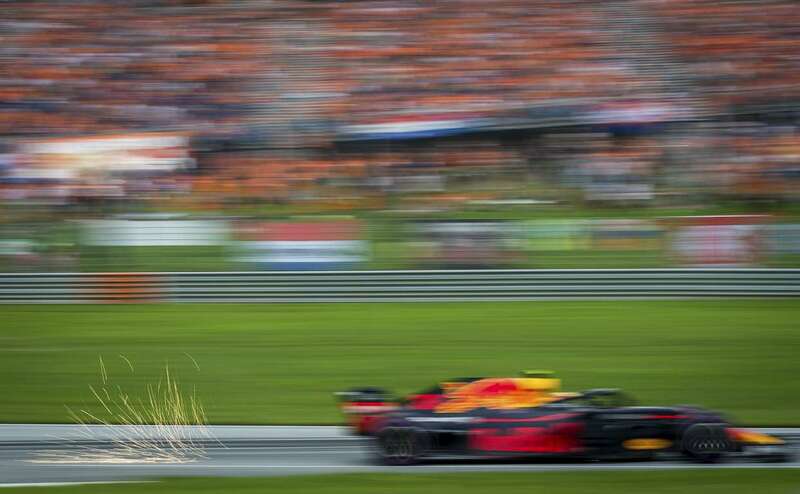 Red Bull's Dutch driver Max Verstappen competes during the qualifying session, ahead of the Austrian Formula One Grand Prix, on Saturday in Spielberg, Austria.